It is a well known fact Boba Fett is one of the coolest rouges in the galaxy but where did he get his cool? From his "father" Jango no less. He too was a bounty hunter that traveled the stars collecting the worst of the worst for the Hutts or who ever else would pay him top dollar. Then one day he was asked to use his DNA to make a clone army which he couldn't pass up. One of his conditions? A cloned son that wasn't altered to become a super soldier so he could raise his own cool bounty hunter. 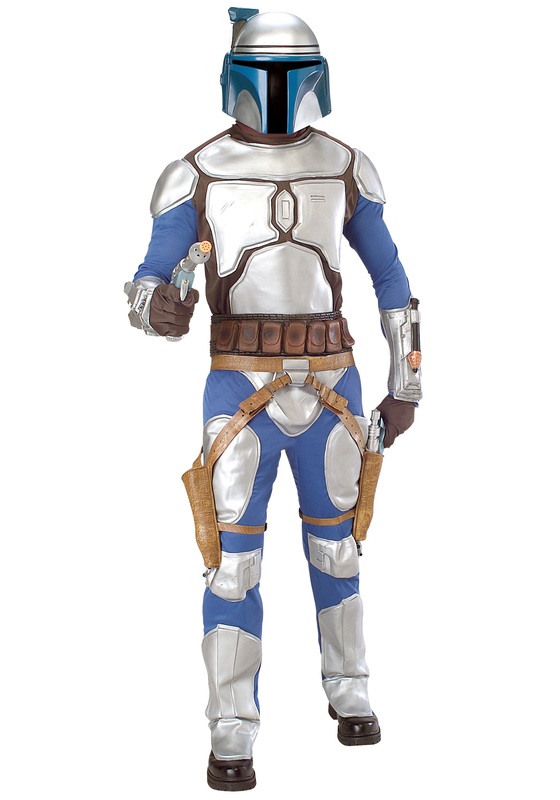 Now you can become Boba's dad in this great Star Wars costume.